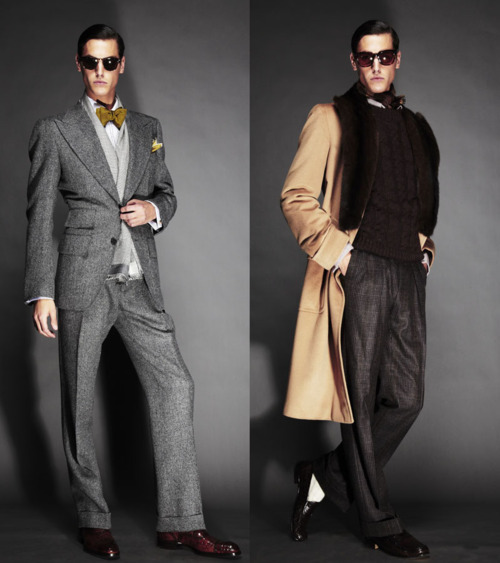 Tom Ford’s Fall 2011 lookbook has been released, giving us a look at the designer’s product for the upcoming winter seasons. An amazing collection (as expected) from the iconic designer, this season we’re seeing loose silhouettes, plaids turned sleek, and a great array of detailing and fabric textures. See the full collection at Tom Ford’s website, and look for it at select stockists. This entry was posted in Black Tie, Collections and tagged Tom Ford. Bookmark the permalink.